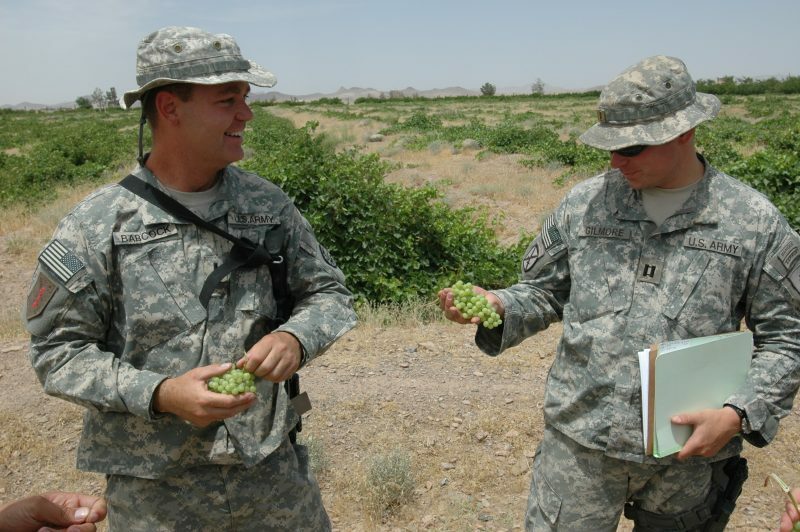 US officers handle grapes in Afghanistan. Pentagon image. Creative commons. After months of mulling, President Donald Trump formally announced his strategy for Afghanistan in an hour long speech last week. For citizens of a country that has seen militant violence reach new highs on the back of the gradual withdrawal of US troops there are a number of important takeaways. Firstly, unlike Obama administration’s deadline-based approach, the new military strategy is ‘conditions-based’, allowing U.S. military commanders in Afghanistan more freedom to make decisions based on conditions on the ground. In that sense many have interpreted the strategy Trump unveiled on August 21 as a hand-washing exercise since the beleaguered President's generals will shoulder the blame if anything goes wrong. It is also coupled, as Secretary of State Rex Tillerson mentioned in a press briefing on August 22, with ‘conditions-based’ diplomacy to put pressure both on the Afghan government to step up its fight against corruption and bad governance, and on Pakistan to stop sheltering terrorist groups. 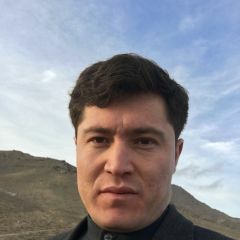 The rules of engagement according to the strategy are not different from that of Obama’s strategy for U.S. troops in Afghanistan post-2014, namely training, advising and assisting the Afghan forces, thereby minimising the risk of US casualties that could prove politically toxic back home. Perhaps most notably, U.S. engagement will be driven by “principled realism” focused on fighting “terrorism” rather than “nation building” and democratization, Trump said. This is broadly in line with a White House that prioritises economic virtues over political ones. In their first phone call after Trump took office, for instance, President Ashraf Ghani adjusted to the change in tone by attempting tried to pique the real estate mogul's interest in Afghanistan by talking up its vast mineral wealth. Trump’s Strategy: Who Said What? As expected, Afghanistan officials have broadly welcomed Trump's strategy, with Washington's criticism of neighbour Pakistan proving a particular cause for celebration. Ghani said in a press conference on August 23, that the strategy secures the interests of “both Afghanistan and the U.S”. Chief Executive Officer (CEO) Abdullah Abdullah praised the strategy the day before as a renewal of the U.S. commitment to Afghanistan and the Afghan people. The strategy was also hailed by former officials. Dear US govt @realDonaldTrump thanks for calling a spade a spade. Pak active supprt 4 terror must end. A Super Power must be Super Clear. Finally, President Trump made it clear and said what Afghans were saying in last 15 years: Pakistan hosts terrorists. This is the VERY reason I liked #TRUMP during the election and ever since. He has announced a very clear, realistic, and much-demanded strategy for Afghanistan. Looking forward to the #actions to happen! Internationally, the reaction has been far more disgruntled, with Pakistani Prime Minster Shahid Khaqan Abbasi warning that Trump’s allegations would not go unanswered by Pakistan, while Russia, China and Iran all lined up against it. Moreover, despite the approval of his former intelligence chiefs, ex-leader Karzai also opposed the new strategy as “against peace and the national interest of Afghanistan”. A Taliban spokesman said Trump was only “wasting American soldiers’ lives”. There is broad doubt that the new strategy will be sufficient to rein in Pakistan, seen as backing the Taliban and other militant groups in its bid to peg back Indian influence in the country the two South Asian rivals sandwich. Afghanistan's border with Pakistan is over 2,400 kilometers long and remains extremely porous. A good strategy for Afghanistan is one that that arouses Pakistan's anger. . . . While Waheed Omar, Afghanistan's ambassador to Italy, spoke out against the jostling among international powers over the country. Trump's decision to brand Pakistan as a terrorism-harbouring country certainly carries risks. So does the strategy's apparent reliance on India to gradually replace Washington as Afghanistan's foremost economic patron, a role New Delhi seems unprepared to fill for the moment. But for Trump, of course, none of these problems are really his problems at all. I rather doubt that the Pakistan – Afghanistan border is over 24,000 kilometres long. Maybe over 2,400 kilometres.